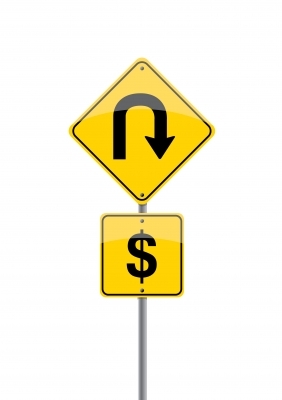 Is the mortgage market making a U Turn? 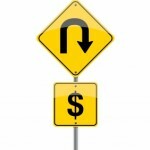 A few years back, there were several 100% or no money down financing programs available. Many were quite dangerous, had adjustable rates or negative amortization and were a major contributor to the housing crisis. The 3 programs I will examine in this article are all 30 year fixed rate programs and much safer. One is from a local bank, one from the Virginia Housing Development Authority (VHDA) and one is from a credit union. Now even though these are fixed rate loans and don’t carry the problems associated with subprime, adjustable mortgages, there are risks and you need to carefully think through various scenarios to make sure this is a good option for you. The most important question to ask yourself is how long you think you will own the home. If you see a potential job transfer in the near future or a major life change that will require a move, this may not be the way to go. The value of a home when you go to sell has nothing to do with the underlying mortgage – the market is the market. So if a home goes up in value, great, no issue on any type of loan. But if you need to sell and the home has not appreciated or – gasp – gone down in value and you have a mortgage balance close to the original purchase price, the only way for you to sell is to bring cash to the table. Okay, so you think this may work for you. Here is a summary of 3 great programs. This program is open to anyone who does not currently own a home or land NOT just first time buyers. There are income limits. In Fairfax County, to get 100% financing, the maximum household income can not exceed $84,800. (If your household income is between $84,800 and $106,100 you can use this program with 3% down.) The maximum purchase price is $417,000. And this is the absolute best part of the program – no PMI! Now the rate is roughly 1/4% higher than a “normal” rate but if you do the math, you quickly see that the small bump in rate is significantly less on a monthly basis than PMI. The Navy Federal Homebuyers Choice Program. There are other 100% programs. Of course, VA loans have been around for some time and there are other local lenders that have unique 100% programs. And some local governments, like the City of Alexandria, have an absolutely wonderful 100% program for City residents who are of moderate income. Give me a call if any of these make sense. I will put you in touch with a loan officer who will be able to give you more intimate details of the program best for you.